If you are a beach bum at heart, and have decided on a summer wedding theme for your special event, model your summer wedding centerpieces after items that you would bring to the beach. Flip flops, beach chairs, and sand all come to mind when thinking about the summer. People line up in traffic trying to get to the beach for a lazy afternoon under the sun. Logically, you should look to incorporate beach themes into your wedding. 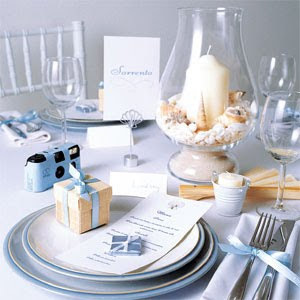 One easy way to do this is by getting summer wedding centerpieces that contain elements of the beach. How about a gleaming white beach chair as a centerpiece decorated with the colors you have chosen for your wedding. You can throw a beach towel across it, lay a book on the seat, or even make it rock automatically while your guests sit and eat. A wedding with a beach theme will most likely be more laid back and casual, so don't hesitate to integrate your favorite beach items into the design of your summer wedding centerpieces. The gang from Grease sang about summer love because they knew that summer brings an increasingly urgent desire for romance. It is a perfect theme for a wedding because it gets the bride and groom into the mood to have fun and be romantic with each other. 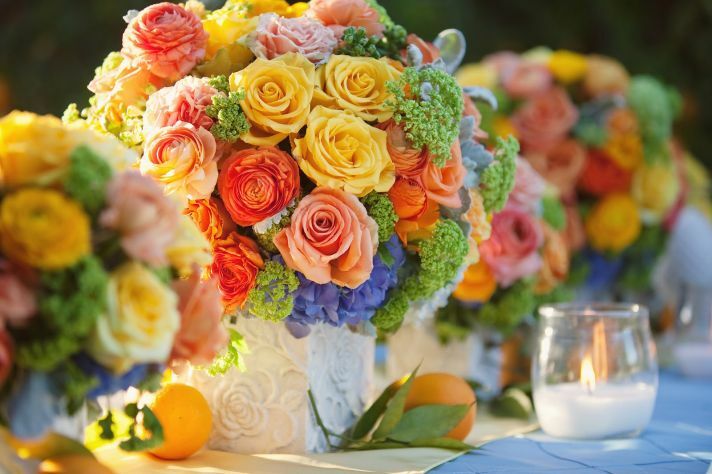 Summer wedding centerpieces should reflect the romantic love you and your hubby-to-be feel for each other. Take it there, go sappy if need be. Maybe you don't even need a centerpiece, just throw a pile of sand from your favorite beach in the middle of each table and stick a bottle with a note in the middle. The note should declare the love you and your groom have for each other. Another summer wedding centerpiece to represent summer love could simply be a large bowl of roses with glossy red hearts surrounding it. Roses are popular on holidays like Valentine's day because of the fact that they symbolize romantic love. Get it crackling at your summer themed wedding with a Fourth of July wedding theme. Put a bunch of sparklers in a vase in the middle of your tables for summer wedding centerpieces. You probably won't want to give these to kids under 10, unless you have a couple of firemen at your wedding. You may even want to put a short note of caution with these favors to warn your guests of potential hazards. 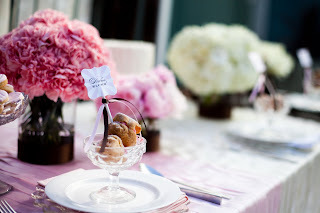 Another cool idea for your hot summer wedding theme is a fresh bowl of ice cream for guests to scoop out of. Wait to place these summer wedding centerpieces until after dinner is over so that the ice cream won't melt. Be sure to provide several different flavors, an ice cream scooper for each guest at each table, and some type of apparatus that will keep the bowl cold for as long as possible. Summer is a slightly difficult season to plan a wedding around, but it can be done. Make your decision about summer wedding centerpieces based on the essentials of summer fun.